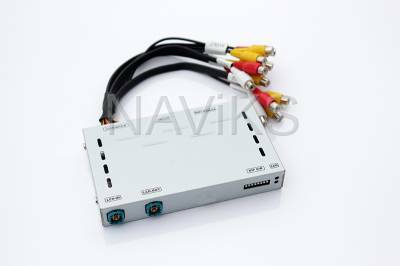 - Our HDMI video interface produces only video. 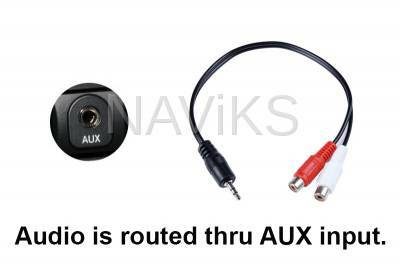 - Audio from the video sources must be routed to the vehicle's OEM Audio AUX input OR to the OEM Bluetooth audio streaming interface. If the vehicle doesn't come with either you must seek for a Audio AUX add-on OR Bluetooth audio streaming add-on that integrates with the factory radio OR use an FM modulator. - Camera inputs are designed for rearview & front view cameras. When the vehicle is in reverse gear the screen will automatically switch to the rearview camera. - Front view camera can be set to engage after rearview camera for up to 20 seconds. - Front view camera can be trigger at any time by adding a 12v switch. 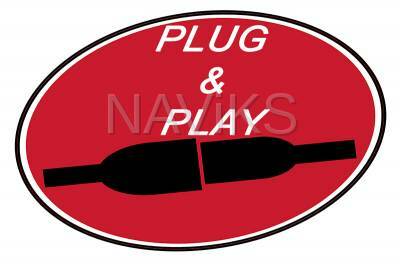 - Our HDMI Video Interface is 100% Plug & Play and requires no wire splicing. - We provide a detailed instructions to guide you through the installation. 2. Lexus Plug & Play harness.